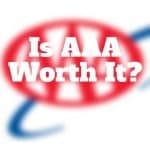 Is AAA worth it? If you want protection in any car that you are driving or seated in, AAA membership is worth the cost. Drivers who only have liability coverage will benefit from AAA roadside assistance too.